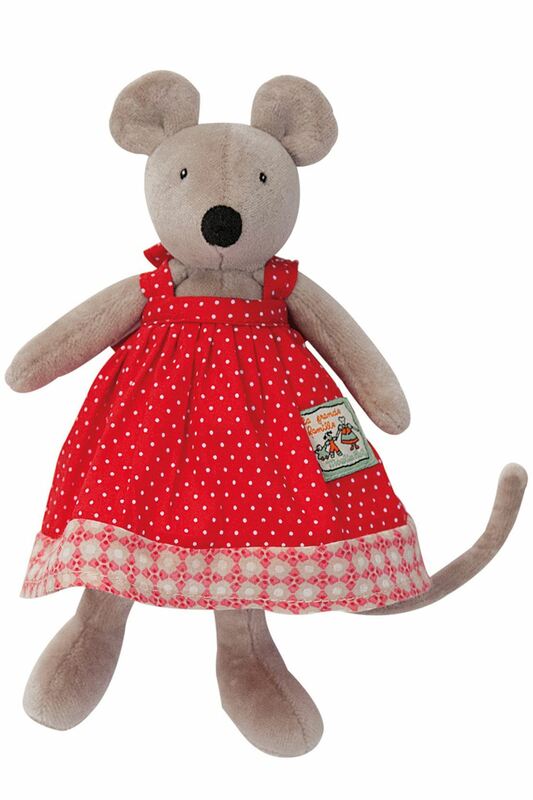 This is tiny Nini, the cute Moulin Roty Mouse of the popular La Grande Famille by Moulin Roty, her long legs and arms are great for little hands to hold onto. This soft toy is suitable from birth and makes a wonderful gift for a baby girl. This is tiny Nini, the cute Moulin Roty Mouse of the popular La Grande Famille by Moulin Roty. She is very soft and her pretty red dress can easily be taken off. The mouse is 20cm tall and can be washed in the washing machine. Her long legs and arms are great for little hands to hold onto. This soft toy is suitable from birth and makes a wonderful gift for a baby girl.